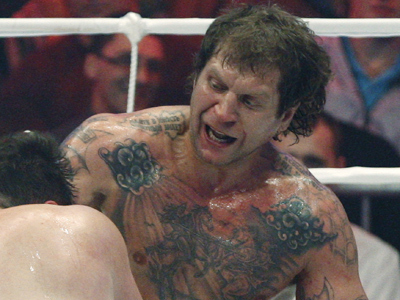 Russia’s mixed martial artist Aleksander Emelianenko has announced his retirement after being sacked by promoter M-1 Global for a number of contract violations. 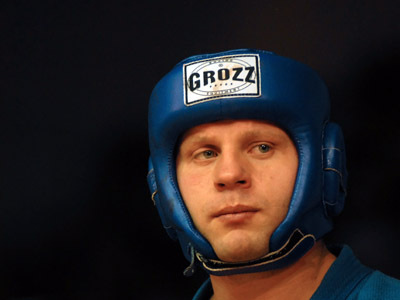 ­"Unfortunately, I won’t be able to perform in the ring anymore because of health problems caused by old injuries. 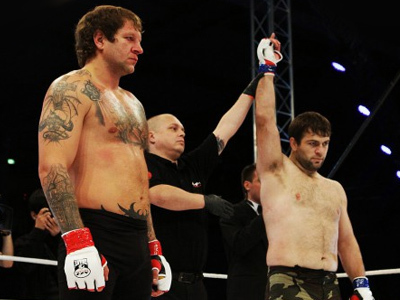 As an athlete, it’s very difficult for me to come to terms with this,” Emelianenko Jr wrote in a statement on his website. “I’m grateful to the fans and sponsors for their support and for believing in me. I’m also grateful to my opponents. Your ill-will always made me move forward and achieve new results." "I understand that I’ll now be facing a lot of accusations and criticism, which are unrelated to my direct line of work. Unfortunately, there’ll always be people, who would want to score points for themselves in any negative situation. I wouldn’t like make any comments, explain anything or offer excuses. Every living person does good and bad things. This is what we are. I'm sure that I’ve made a lot for the sport, attracting many young people in the gyms by my example,” he added. The 31-year-old says he plans to concentrate on his family and his health problems. 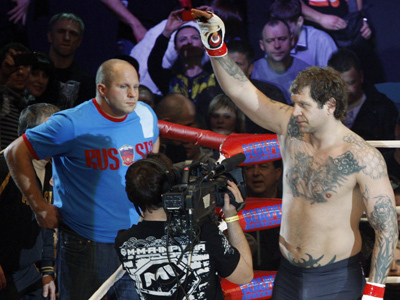 On Tuesday promoter M-1 Global announced the cancellation of their contract with the younger of the Emelianenko brothers. "Aleksandr has constantly violated the terms of his contact and we canceled it,” Vadim Finkelstein, M-1 Global president, told Mixfight.ru. “Now he is a free fighter. He’s on his own. Neither I nor (elder brother) Fedor or M-1 aren’t responsible for what he’s doing." Finkelstein didn’t specify the contract violations, but Gazeta.ru claims the firing followed Emelianenko’s drunken row in Barnaul in the Altai Region. The heavyweight fighter quarreled with flight attendants and passengers on a flight to the tournament in the Altai Region. He then broke the nose of an airport employee and started a brawl in the hotel restaurant where a wedding was taking place. 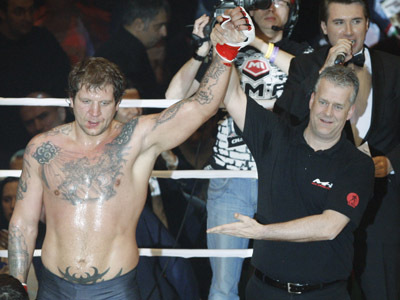 Aleksandr is the younger brother of mixed martial arts legend, Fedor Emelianenko, but he never managed to repeat the success of his close relative. The fighter, known under the nicknames – The Controller, Red Devil, The Grim Reaper, has held 27 MMA bouts, in which he collected 21 wins and suffered 6 defeats. 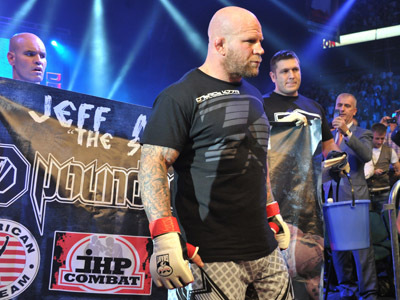 Emelianenko Jr lost by submission to Jeff Monson of the US in his last ring appearance in Saint Petersburg on November 15.